Samsung has begun rolling out the Android 9.0 Pie update for the LTE variant of Galaxy Tab S4, starting in France. The release comes four hours after it pushed a similar upgrade to the Galaxy J6 in Russia, and three days after it reached the unlocked Galaxy S8 and Galaxy Note 8 in the US. From what we can tell, Samsung’s Android 9.0 update for the Galaxy Tab S4 bundles the standard suite of features baked into Pie, including App Actions and Slices, as well as Samsung’s stunning One UI interface, which was designed to deliver a more fluid and seamless user experience. 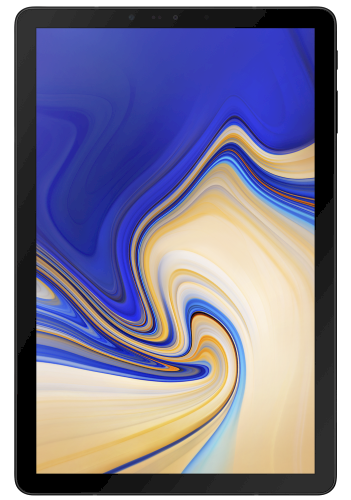 At the moment, France is the first region to have received the Android 9.0 Pie update — T835XXU2BSD1 — for the Galaxy Tab S4. And it’s only for the LTE model (SM-T835) — it should start making its way to the Wi-Fi model, and other countries, in the not-too-distant future. Samsung is of course distributing the upgrade in France in stages. To check to see if it’s available for your slate, head into Settings, navigate to Software Update, then hit Download Updates Manually. Alternatively, you can grab the firmware from our database for manual flashing. Screenshot from OTA and screenshots from ONE UI on tablet ? I think that Samsung are not rolling out updates in stages. When is out, then everyone in the country have one. Wow. They waited so long. Can have some screenshot how look ONE UI in tablet? Awesome! About time too. I’ve been anxiously waiting. It’s supposed to bring support for Bixby voice too? We’re waiting for information on that and will update the story when we can confirm that it is in fact included. Please can you tell me when the ota update of j4 will come .